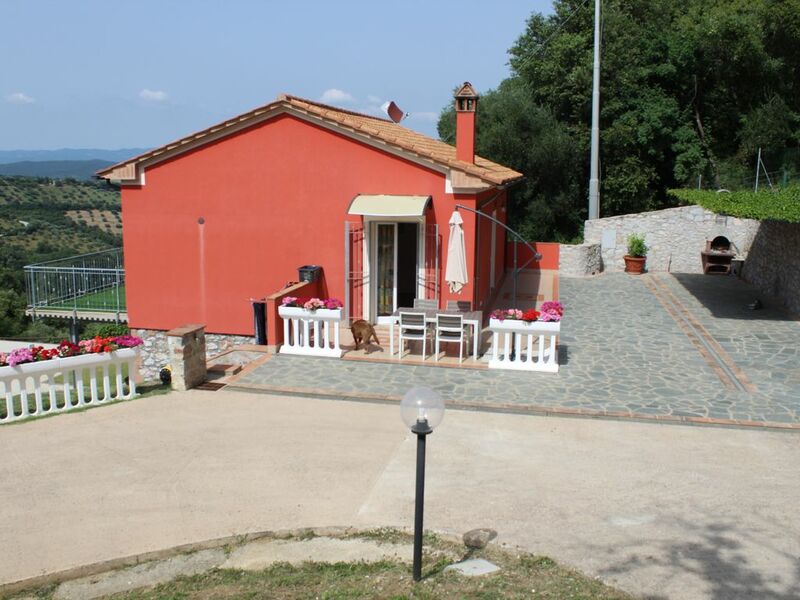 Casa Parletto completely renovated in 2015, has a beautiful view, we have finished the terrace of 30 sqm in 2018, in a strategic position, 500 meters from the village, just 20 minutes from Punta Ala, 20 minutes from Follonica, 20 minutes Cala violina. The covered area is 80 square meters plus a terrace of 30 square meters as composed. Ground Floor: living room with sofa bed, dining room, 1 bathroom with 70x120 cm shower, two washbasins, bidet and toilet, utility room with washing machine, 1 double bedroom, 1 bedroom with two single beds, Wi-Fi connection Fi, satellite TV. Swimming pool for exclusive use, enclosed garden of about 10000 square meters, private parking. Ideal location for families, group of friends, perfect for four-legged friends.